This year we’ve teamed up with Small Pond, Holy Roar Records and Awesome Merch to bring you a great event on the Thursday of The Great Escape. 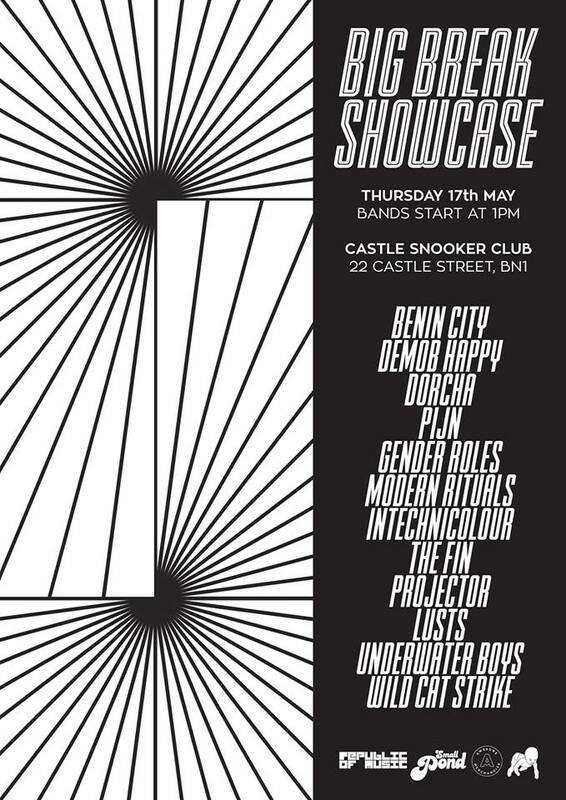 Line up include Benin City, Demob Happy, Modern Rituals and many more. Come join at the Snooker Club from 1 pm (click here).